The east coast of the USA gets a lot of credit for beautiful fall colors, but who has the time to change, well… times? West coasters deserve autumn splendor, too, and you don’t have to fly across the country and change your zone and sleep habits just to enjoy some. UpState CA has a fantastic fall season, and it's already blazing. 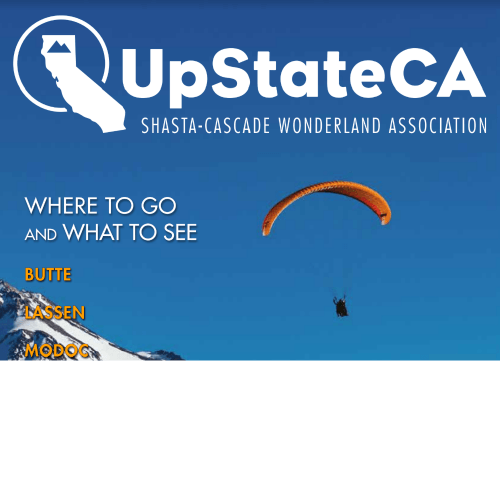 Did you know the Shasta Cascade region is 25% of California's landmass but with only 3% of California’s population? Don’t think too hard about the math, just realize that means there’s a ton of non-people, not-city space for trees, trees, and more trees. Plus, up here in UpState CA, those trees are artfully arranged around wild and scenic rivers, mountain lakes, actual mountains, and even a handful of volcanos.